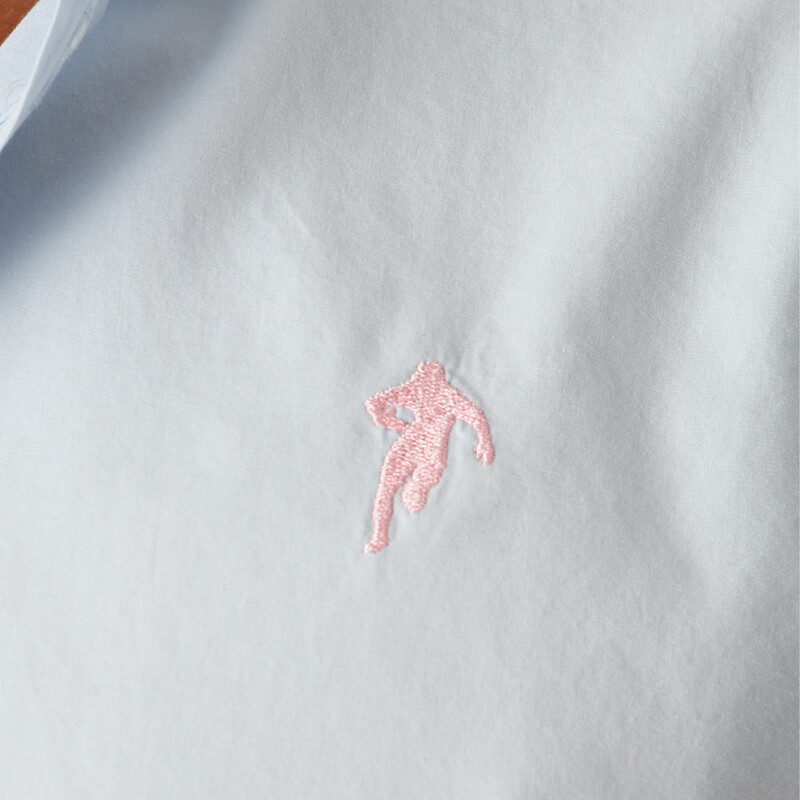 Our plain sky blue shirt with the pink logo embroidered on the chest, has a classic fit. 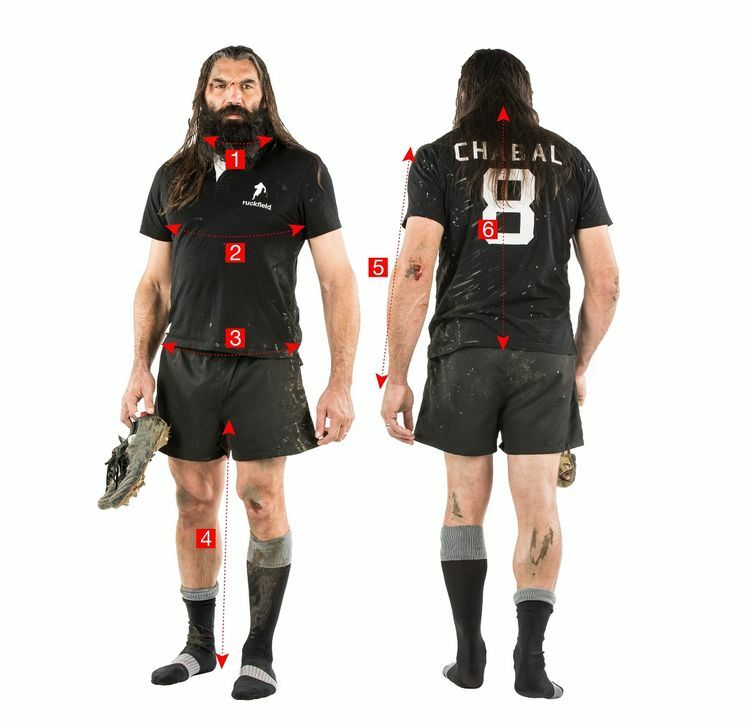 To keep your ties in position, it has a buttoned collar. 100% cotton, it is easy to look after. 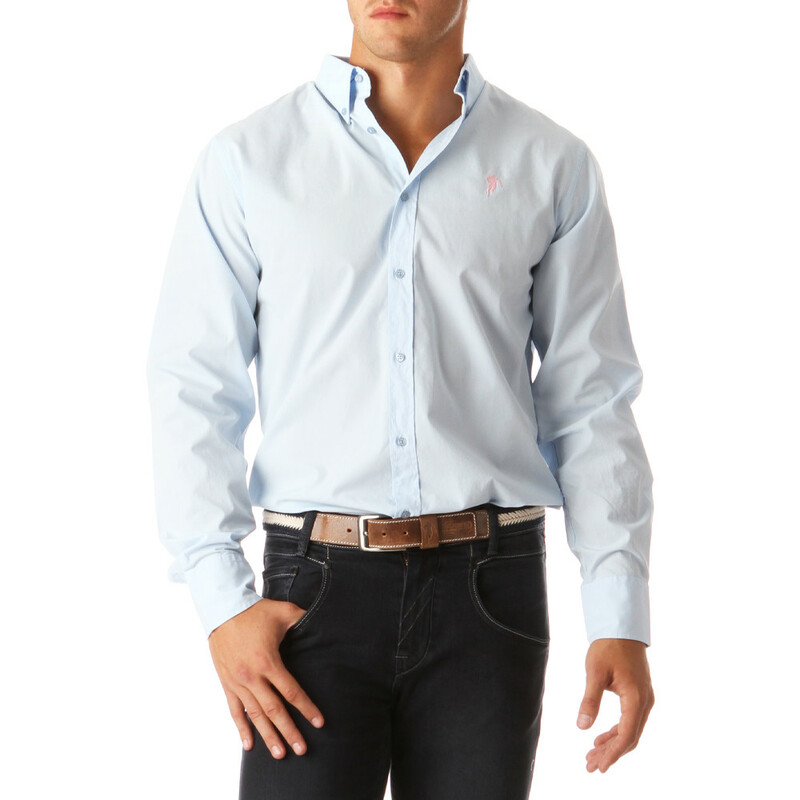 With its sky blue colour, you can wear this shirt in all seasons.